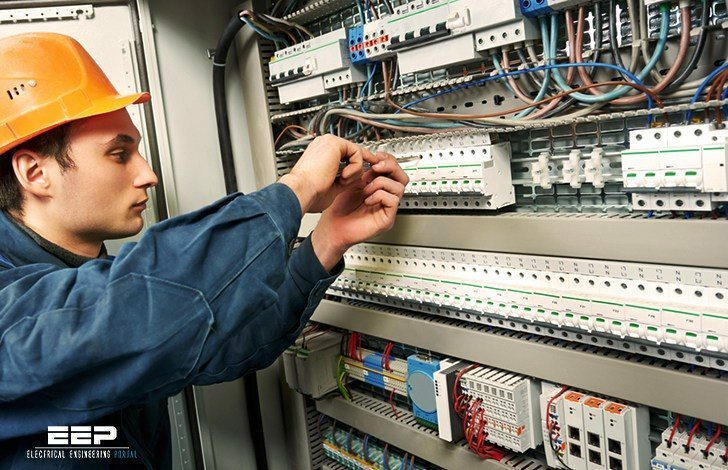 Whether you are professional or a novice in a field of electrical engineering, it’s always a good idea to challenge your electrician skills from time to time. This is your small opportunity to pinpoint your strengths and weaknesses and to improve your knowledge base and test-taking skills. Questions are related to equipment for general use: Flexible cords and cables, switches, receptacles, switchboards and panelboards, appliances, fixed electric equipment for space heaters, motor sizing, overcurrent protection, control circuit conductors, motor etc. To check your results, take a peek for answers at the bottom of article. A 40 amp branch circuit may supply up to five electric space heaters installed in a two-family dwelling. Within 30 seconds of being disconnected from the power supply, a capacitor which operates at 300 volts must be discharged to 50 volts. Protection of the live parts of a generator that operates at 30 volts is required if the generator is accessible to unqualified persons. On a 120 volt space heater, the non-heating cable leads are yellow. In a lead acid battery, the nominal voltage is 1.75 volts per cell. TEST TIP: Keeping in mind that you are looking for the most correct answer, you can see that Answer A is part of Answer D, and although being located on the same floor may mean the disconnection means is in a common, accessible location, Answer C is not as comprehensively correct as Answer D.